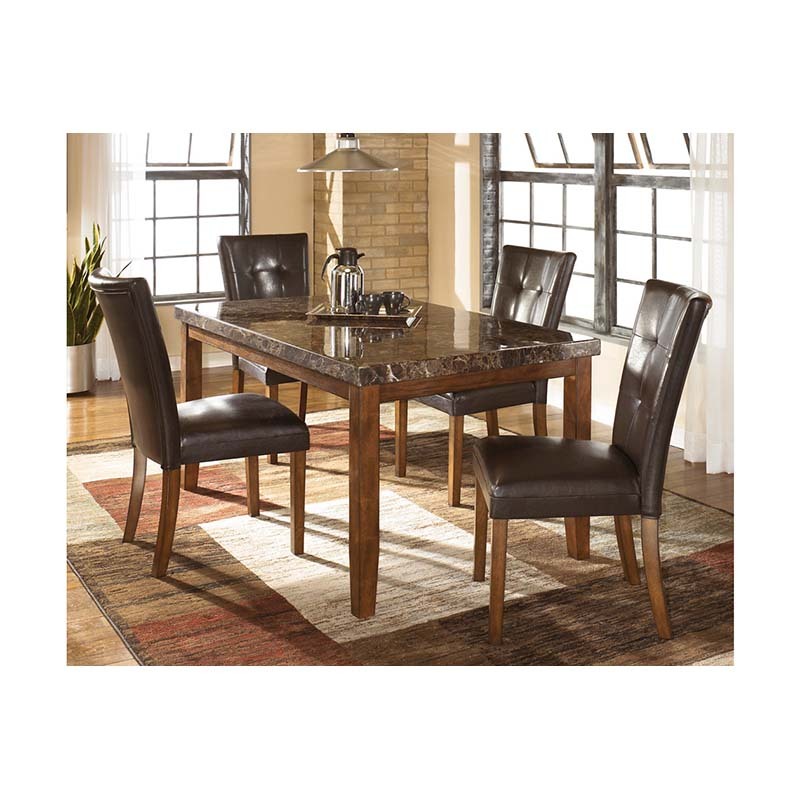 Elevate the elegance of your dining room with the Ashley Lacey Dining Table. Its thick, faux marble tabletop is supported by an equally chunky, Medium Brown base. This polished piece is the perfect excuse to throw a dinner party!